Toyota of America and my local dealer could learn a few simple lessons about vehicle and customer service. When a customer asks for a simple improvement to service procedures, let the customer know you’ll do better in future. Thank the customer for the suggestion. Respond quickly, and comply with time commitments whether made by the dealer or the manufacturer. Don’t blame delays on communications issues or whether the dealer (who does the work) or the manufacturer (who receives the feedback) is responsible. The customer doesn’t care. I received a follow-up survey from Toyota of America after the local dealer serviced my Toyota Sienna. The survey was pretty good (I’d probably score it 8 or 9 out of 10 for user experience and gathering satisfaction information). They sent two reminders after the original invitation which is good practice. This article isn’t really a survey evaluation, but rather to show how the follow-up was mishandled with the result being to lower my customer satisfaction. I considered myself lucky not to have been pulled over by the police that evening. Worse, I had actually been pulled over by the police a few months earlier not long after the previous service while driving in a different city. The policeman was very nice and even suggested that the issue might have been caused by the mechanic who did the service. The policeman suggested that the issue might have been caused by the mechanic who did the service. I bear part of the responsibility for not following up after the first incident, and I guess also for not remembering after the subsequent service. However, I think the majority of the blame should be directed to the service organization. Later I noticed one other setting change that I believe was the result of the service, but I wasn’t 100% certain. We’d been going through a period of poor air quality locally; I followed advice to change air conditioning to “recirculate”. This was less impactful to me personally than the light setting, but could have been more of a concern to people who are more susceptible to poor air quality. Before I move on to the post-service saga, I’ll comment on a couple of things in the survey that got in the way of me being able to communicate my issue and ask for follow-up. The key question about satisfaction with various aspects of the service was presented as a 10 point radio button matrix anchored with “Unacceptable 🙁“, “Average”, and “Truly Exceptional 🙂“. That’s a fine treatment, and I was glad to see that they didn’t use Net Promoter Score. I couldn’t see an attribute that closely matched what I wanted to explain, so I ended up giving a lower rating for the Quality of Work attribute [expanded as “thoroughness of work done on your vehicle, fixing vehicle right the first time (leave blank if not applicable)”]. My issue was about the state of the vehicle after the service. That certainly relates to what the people working on the vehicle do, but it doesn’t relate to my perceptions. I half expected the low score I gave to generate a follow-up question immediately to ask me why; there wasn’t a follow-up. I think they also missed an opportunity on that question – or elsewhere in the survey – to state that I could later expand on any issue if I wished. 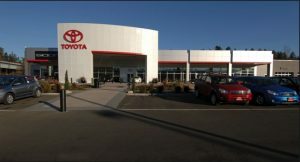 At the end of the survey, there was a thank you page which included information about how to contact the dealer and a link and phone number for the Toyota Customer Experience Center. Yes, that’s a Honda – I doubt if Toyota dealers are the only offenders. That’s what I was hoping for. I chose the topic “Dealership Service Experience”, and in the open-ended box I explained why was unhappy, and that the proper solution would be for the service technician to note the settings and return them to the way they were when the vehicle. 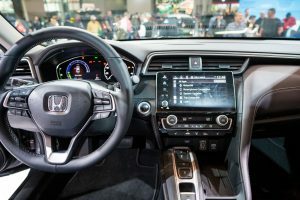 With the complexity of vehicles these days, owners shouldn’t have to repeat what they went through when they first acquired the car. With the complexity of vehicles these days, owners shouldn’t have to repeat what they went through when they first acquired the car. After submitting the survey, I received an automated follow-up immediately from Toyota of America promising a “tailored response as quickly as possible”. I like the tone of this phrase because it doesn’t promise too much. If they had stated that the response would be within a certain period of time I would have expected some follow-up within the stated time-frame even if Toyota did not yet have a complete answer. The series of emails from Toyota of America and the dealer was quite a saga, lasting 43 days from when I first filled out the post-service survey. I’ll spare you most of the details and summarize the key points here. Toyota of America responded within a couple of days asking for my permission to contact the dealer, explaining that each dealer has a customer relations manager whose job is to address all service issues. Toyota of America gave me two dates for when the dealer would contact me. Neither commitment was kept. Toyota of America told me that they were unable to act as an intermediary or force the dealer into any action. The dealer finally emailed me stating that “in a recent department meeting it was stressed that guests settings should be returned to the original settings“, and telling me that they continue to strive for excellence so that I will want to return again and again to the dealer. The response from the dealer was exactly what I’d asked for in the first place. However, this experience was not a shining example of how to improve customer satisfaction. Why did it take so long for the dealer to get back to me? Why were the commitments not kept, and what was going on between the manufacturer and the dealer? It seems absurd that Toyota of America would write that they were not acting as an intermediary when that’s exactly what they were doing. And, to say that they can’t force the dealer into action is also not reflective of the reality of the relationship. I realize that my negative reaction to the word “guest” is somewhat pointless and I didn’t share my opinion with either Toyota of America or the dealer, but I will say something here. Hotels and Disney started the change, and try to live up to their interpretation. The additional meaning of someone who pays for the services of an establishment such as a hotel or restaurant is now entrenched. But it’s irritating. Just treat me as a customer please. I waited to publish this until after the next service so that I would be able to see if the dealer had changed their procedures. This time, the light switch was set as I had left it — on automatic — so that was a positive change. However, it appeared that something had changed with the audio settings, and that it was most likely due to removing the battery to test it which was part of this scheduled service. I’m not certain if my interpretation is accurate, but it would have been good customer service to remind me to check settings if battery removal was part of the service. More troubling was an email I received from the service advisor a couple of days after the service. I’ve experienced higher pressure communications from employees of other companies, but statements that emphasize the desire for high scores rather than requesting honest feedback are not consistent with maintaining or improving high customer satisfaction. More on this in another article; for now let’s just say “don’t do this!”.